Apart from being one of Europe’s top summer travel destinations, Greece is also well-known for its rich gastronomy – its delicious local food and wine products are famous the world over – along with its lively entertainment, its beautiful cities, welcoming and friendly people, and of course its countless magical islands. Blessed with wonderful weather throughout much of the year, Greece’s rich history and culture is everywhere evident thanks to its many well-preserved historical monuments and attractions. Other big draws for visitors from around the globe is its spectacular luxury real estate, encompassing everything from dream villas overlooking the Aegean Sea to beautiful homes and apartments in the country’s many picturesque coastal villages, as well as condos and apartments in the country’s capital, Athens. 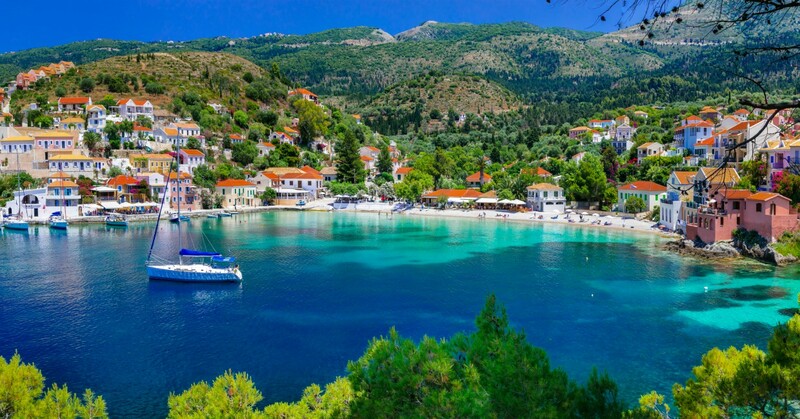 For those just visiting, Greece boasts many of the world’s top exclusive luxury hotels, boutique hotels and the always-popular small beach hotels. There are also numerous opportunities to rent luxury villas for those wanting to stay for longer periods of time, or requiring more room to accommodate friends, family and guests. Greece is also becoming a leader in culinary tourism, too, and now boasts some of the world’s top restaurants and eating establishments. Whether your preference is for fine dining or more casual, local food experiences – not to mention sampling some of the world’s finest wines – you’ll not be disappointed when taking a fun ‘foodie’ vacation here. Another big tourism draw is the chance to sail around the country’s unrivalled coastlines. Whether you choose to do so in a classic sailboat or aboard your own luxury yacht – or even aboard one of the many cruise ships that visit the country as they traverse the Mediterranean – you’ll find yourself wanting to stop at each and every one of the many crystal clear blue lagoons and bays you’ll find along the way. Greece is also well served by some of the world’s top luxury yacht charter companies, each of theme ager to provide an unforgettable experience aboard your own fully crewed (and catered) vessel. Whether you’re here for a romantic getaway or looking for an unforgettable family vacation, let Luxury Greece be your personal advisor and guide to the very best this magnificent country has to offer!